So simple, yet so grand. This tasteful arrangement of gerberas is the perfect choice for that special someone. 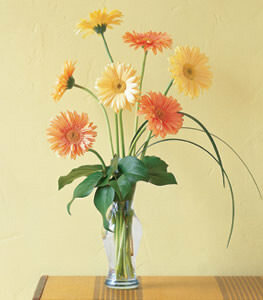 Vibrant and soft peach gerberas, accented dramatically with foliage, arrive in a quaint glass vase.